Update: Panos Panay has left his CEO position at Sonicbids. 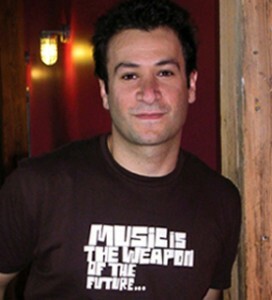 In early 2001, Panos Panay quit his lucrative gig as VP of the International Division at talent agency Ted Kurland Associates, maxed out his credit cards and launched Sonicbids, a site designed to help indie artists and bands get gigs and assist promoters looking to book the perfect artists and bands. His founding mission was simple: to help create and empower what he calls an ‘artistic middle class’ through the use of innovative technology. His dream was to make Sonicbids a place where a band from any genre anywhere in the world could come to find and connect with any type of music promoter, licensor or broadcaster easily, effectively and quickly. It was never about catchy gimmicks and always focused on the pragmatic needs of artists which Panay boils down to three questions: (1) How do I make a living? (2) How can I connect with a larger audience? (3) How do I get my music out there? The changing tides of the music industry, including the shift over the past few years from major labels controlling the marketplace to so many more opportunities and options for independent and DIY artists, helped Panay realize his dream more quickly than he could have ever imagined. The banner on the homepage of the website makes this clear: ‘60,000 Gigs Were Booked On Sonicbids Last Year Alone!’ While the term ‘gig’ traditionally means ‘live performance date,’ on the site it’s used more broadly to incorporate various TV, film, video game and commercial licensing opportunities. The site now features over 220,000 artists and bands from over 100 countries on three continents and 19,000 promoters. Sonicbids helped over 300 bands from around the globe get gigs at South By Southwest 2009; recently opened submissions for bands to play Popkomm in Germany; just opened the opportunity for bands to place songs on Delta Airlines’ in-flight radio. They also recently renewed their partnership with Roadtrip Nation, which has selected 141 Sonicbids bands since 2005; and opened submissions for the International Songwriting Contest. The stats are impressive. Membership grew 25% from 2007 to 2008 and Panay’s staff has grown over the past three years from 20 to 36 employees. Just this year, he’s met with indie musicians everywhere from New York, Seattle and Toronto to Holland, Cannes, Seville, London and even Iceland’a long way from the Boston apartment where Sonicbids was born less than nine years ago. A native of the European island of Cyprus, Panay came to the U.S. in the early ’90s and enrolled at Berklee College of Music as a guitar performance major, with an initial goal of becoming the next George Benson. Just as he was realizing that he wasn’t cut out to be a professional guitarist, the school launched a new Music Business Program. Panay immediately shifted gears and began learning about the industry and the interconnections between managers, agents, record labels, publicists and publishers. A whole new world opened up, and this led to an internship with Ted Kurland Associates. After he put together a tour of Berklee students performing on his home island, he was offered a gig as an assistant. Within a year, in 1995, he was booking European tours for his idols Pat Metheny, Chick Corea and Sonny Rollins, an experience he calls ‘a true jazzhead’s dream.’ Other artists on his roster included Branford Marsalis, Isaac Hayes and Patti Labelle. Panos Panay with indie musicians at the MIDEM conference in France. Panay is currently the co-chairman of CREATE Boston and a board member of Boston World Partnerships ‘ both initiatives launched by Boston Mayor Tom Menino to bolster the creative and business economics of the city. A Fast Company ‘Fast 50’ entrepreneur, he is also the cofounder of Boston Young Entrepreneurs, a Boston Redevelopment Authority initiative that fosters and assists Boston based entrepreneurs. ‘I got the inspiration to start Sonicbids as a direct result of my experiences as an agent,’ says Panay. ‘Every week I was getting buried with press kits from many, many talented artists who wanted to get booked by us, but we just could not afford to take on. So I thought ‘ and this was 1999 or so ‘ ‘if you can trade stocks and buy books online, why can’t you get a gig or book a band using the web?’ The internet has forever changed the landscape of the music business for the better. Free or inexpensive technologies like Apple’s Garageband (recording), and websites like CDBaby (distribution), iTunes (music retail), MySpace (promotion), and Sonicbids (professional connections) have helped give access and reach to artists that was once available only to a very small group of insiders. True to this ongoing mission, and like any thriving business that prides itself on customer service, Sonicbids stays in tune with the developing needs of its bands and promoters and adds elements to the site when there is enough demand. For instance, an outcry about the way gig listings were displayed led to a more streamlined presentation. Many artists were curious for more details about certain promoters’and how picky they were’which led to the creation of the ‘Pickometer,’ a scale that rates each promoter’s ‘pickiness.’ Since bands pay small fees to submit material to promoters in addition to their $50-100 membership dues per year, it’s not surprising that they want to know if their material is being heard and considered. This led to the development of a submission tracker which includes a status update on each submission. In order for the process of listening to its bands to become more personal, Panay organizes and attends member dinners all over the world to hear their concerns. The first question he asks the 10-15 indie musicians who attend is: What do you think about Sonicbids and what can we do better?